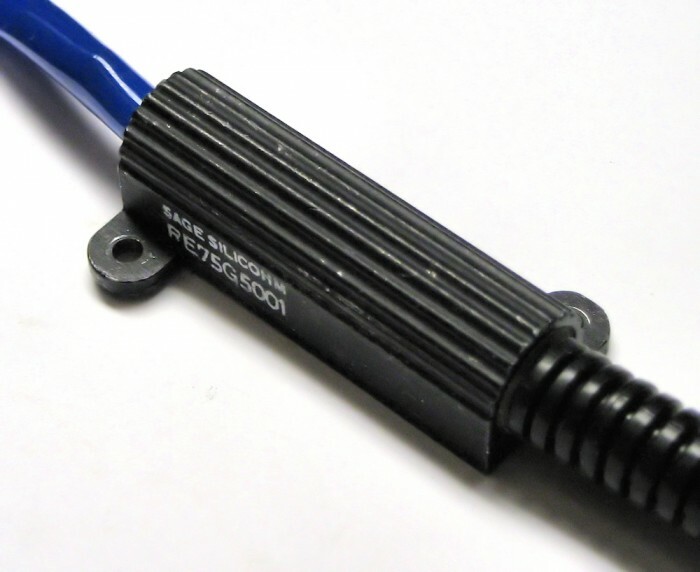 The Sage Silicohm M50W is the longer resistor on the Ion Arm, only visible on certain publicity shots of the GB1 Proton Packs (like the Omni cover pack). It was once believed that the Sage was used in GB1 and the Dale in GB2, but evidence seems to confirm that the Dale was used in both movies. The resistor is mounted on the right of the Ion Arm and has 1/4" diameter blue hose attached to both leads. The top hose goes to the Clippard elbow on top of the Ion Arm, and the bottom hose goes to the PPD. These are also readily available from many online sources.